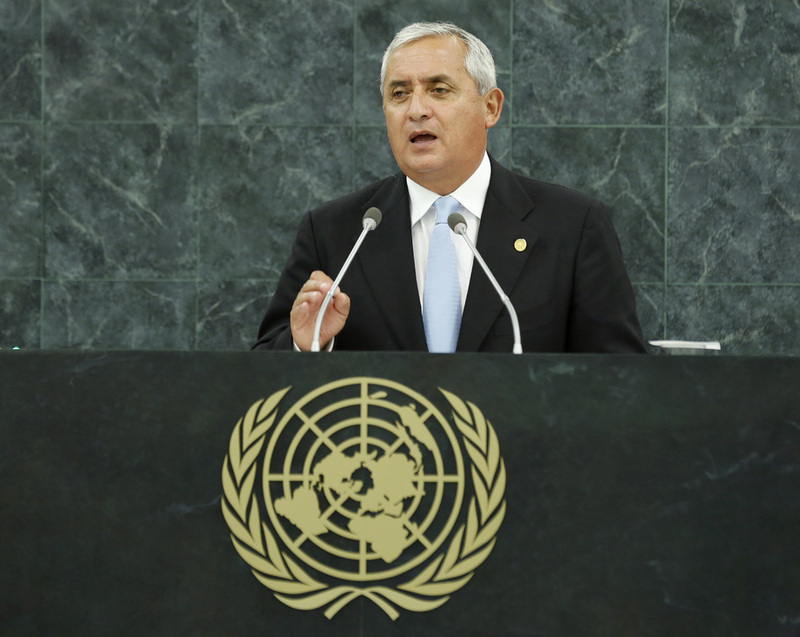 OTTO FERNANDO PÉREZ MOLINA, President of Guatemala, noting the link between the battle against hunger and education, spoke of the progress his country had made on improving the nutritional status of infants and children. In order to turn boys and girls into skilled workers and active citizens, Guatemala paid special attention to promoting dignified employment and the competitiveness of the economy, and had begun witnessing positive results. He said that Guatemala was linked to the economy of Mexico and it wanted a tripartite alliance that included the United States that would serve as a solid link with Central American and Caribbean countries. Since integration between the three economies was already a reality, he said attention should now focus on establishing rules that allow for capitalizing on those achievements. Stressing that the quest for prosperity was related to Guatemala’s commitment to building peace and combating impunity, he went on to enumerate his Government’s progress towards fighting crime and violence, upholding the law and respecting human rights. Thanking the General Assembly and donors for supporting Guatemala’s efforts to fight impunity, he spoke of a country without hunger, with education, prosperous and integrated with its neighbours. Turning to the war against drugs, he called for more effective policies that emphasized health, reduced social violence, respected human rights and curbed the flow of illegal arms and funds that financed criminal networks. He praised United States President Barack Obama for respecting the voice of some Americans to pursue “innovative experiences” that addressed drug issues that focused on public health, prevention and respect for human rights. He also lauded the examples provided by Uruguay and the leadership of the Organization for American States (OAS) in this effort, adding that each country must experiment with new models to address the drug problem without abandoning international cooperation against transnational crime. Recalling Guatemala’s tenure as a non-permanent member of the Security Council, he said his Government sought international action on Syria in consonance with the concepts of the “right to protect”, punishment for those responsible for mass killings and political and diplomatic dialogue. Stating that the United Nations had made a singular contribution to humanity by launching the Millennium Development Goals, he urged the international community to define the reduction of violence against women and children and universal access to justice as a priority of the post-2015 global development agenda.